The Kailasanathar Temple or the Kailasanath sanctuary is maybe the most ancient temple in the city. 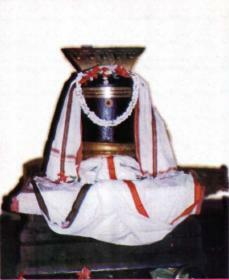 The sanctuary was assembled by the Pallava King Narasimhvarman in the eight century in veneration of Lord Shiva. The sanctuary is gone by consistently by the lovers of Shiva. The sanctuary is fabricated of red sandstone and has endless carvings of Pallva craftsmanship, of which the Urdhva Thandava move of Shiva and the snickering face of Parvathi are worth seeing. Templefolks.com is not a temple agent. We will do pooja on your behalf to offer and deliver Prasad to your home. The amount will be used to buy and provide Prasad at the temple. And, to awning all assorted costs such as - Covering, Shipping and also includes all government taxes. Normally it takes 7 days you to receive this prasadam from temple, if you are outside India it takes 15days to receive your prasadam.